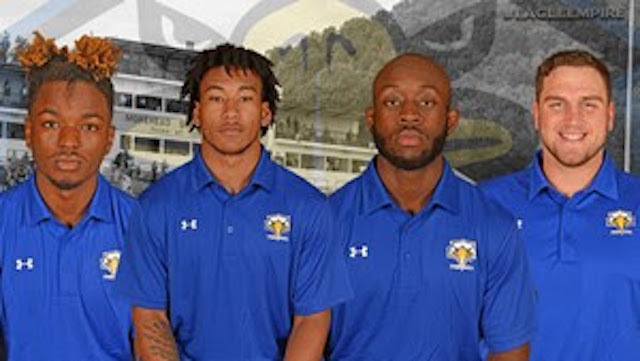 MOREHEAD, Ky. — A quartet of Morehead State football athletes have been named to the Preseason All-Pioneer Football League Team, as selected by the national media organization College Sports Madness. Cook, from College Park, Ga., led the defense with 17 passes defended and 14 pass breakups in 2016. Cook intercepted a team-best three passes and totaled 36 tackles. Corbett, a native of Liberty Township, Ohio, blocked for an offensive unit that generated 445.7 yards and 32.4 points per game while ranking among the best teams in the PFL in passing yards at 310 per game. Tarver, who hails from Kennesaw, Ga., ranked among PFL leaders in kickoff returns, averaging 21.4 yards per return. He totaled 642 yards on 30 returns. Duncan, a product of Lexington, Ky., ranked second on the team, only behind Cook, in passes defended (13) and pass breakups (13). He also registered 39 total tackles. Morehead State continues fall camp in anticipation of its season opener on Aug. 31 at 6 p.m. ET versus Kentucky Christian. Season tickets and tailgate passes are now available at MSUEagles.com/Tix.